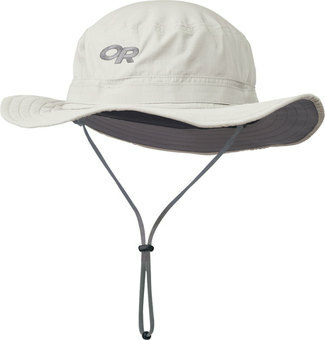 I recently picked up one of the Outdoor Research Helios Sun Hats to try out this summer. I wanted a hat that would be light and comfy, light in color to reflect back as much heat as possible, breathe at least somewhat, and of course kept my face and neck in the shade. The problem is , there are quite a few different hat options out there that match this criteria. However, my prior experience with some of the OR products and some good reviews of this hat is what led me to try out this one in particular! This hat is sold in 3 different sizes (M, L & XL). My head measures 22-1/4″ so I opted for the medium which fits up to a 22-1/2″ (and is the smallest size available). When I received the hat I found that it fit me decent, but it was a little large. (But in its defense, a lot of hats tend to be too big for my head…) Of course the diameter was just a little too large, but this can easily be adjusted with a cord lock adjuster on the back of the hat. However, the hat itself is also a little to deep for me. In order for the hat to sit down on the top of my head, the hat actually then sits over my ears. This is just a little annoying, but the adjuster on the back does improve the fit slightly. Of course the hat did do a fine job at keeping the sun out of my eyes, and from what I could tell, even from off of my face as long as I was not staring up into the sky. It is somewhat hard for me to actually see the back of my neck though, so it is hard for me to say if my neck was shaded. And since I was only out for 3-4 hours and under the cover of trees mostly, I most certainly did not receive a sunburn on my neck. One other thing that I figured out about the hat that I must admit I did not think about to begin with was wearing the hat in the rain. This hat is not waterproof, and I realized that when I bought it. Truth is, I was not interested in a waterproof hat since I am intending on using this hat in the summer, when it is warm. When it is cold, I will wear my Black Rock Gear down boggin, and that is a whole different set-up. But what I did not think about was when I need to pull my rain jacket hood over my head. I have experimented with wearing the rain jacket hood over the hat, and while the brim of the hat will bend and mold to the inside of the jacket’s hood, it makes turning my head a little difficult. It is really not ideal. Also, I have to think about stowing the hat somewhere when the time comes. So, even though this hat is a fine hat considering what it actually is, I do not think that it will fit my needs, and comforts. I think I would like to try something more similar to a ball cap style hat. I have looked at some that have the flap in the back that will cover my neck, but I am not so sure that I will like that flap on the back of my neck all day. However, with a ball cap style hat, this design will surely make wearing it under a rain jacket hood simpler, and would actually help to keep the rain jacket hood from falling in my face. 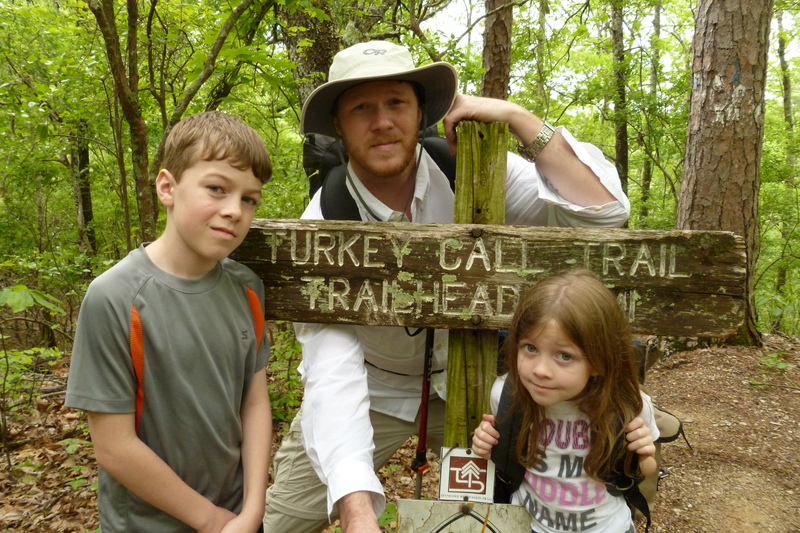 This entry was posted in Clothes, Hats/Beanies and tagged Backpacking Hats, Helios Sun Hat, Hiking Hats, Outdoor Products, Sun Hat. Bookmark the permalink. I’ve used the OR Seattle Sombrero for a while and been really happy with it.